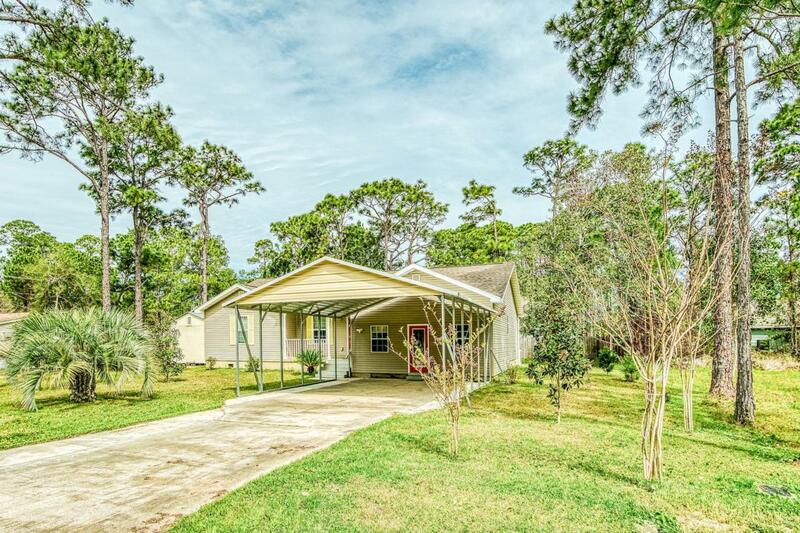 Great 3-bedroom home just minutes from the Bay and the Gulf on an expansive lot totaling 0.32 acres! 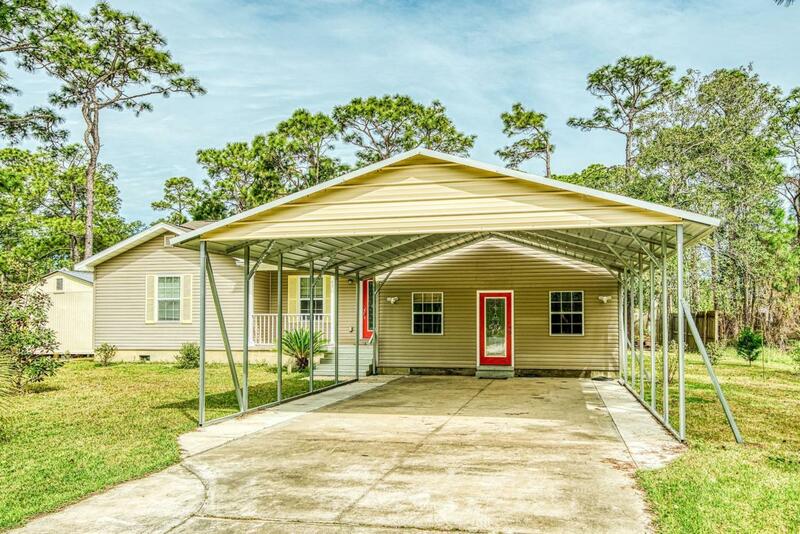 Newly updated with tile floors, new A/C unit with 10 yr. warranty, granite countertops & stainless appliances in the kitchen, a workshop building & huge screened-in porch. The beautifully landscaped yard offers a serene setting and there are even fruit trees! Great details throughout this home really let it shine. Cathedral ceilings in the living room and master bedroom and tray ceilings in the foyer and dining room add a grand touch. There is plenty of storage with two pantries, an enormous laundry room with walk-in closet, and a bonus room that could be a great Florida room. The master bedroom has an en-suite master bath and a full guest bathroom is convenient for both additional bedroomsThe kitchen is beautifully updated and offers a granite breakfast bar perfect for casual dining. There is also an added custom tile backsplash, ample cabinets and stainless appliances. The kitchen opes up to the spacious living & dining area with easy access to the porch. The enormous enclosed back porch is ideal for spending relaxing moments enjoying the peaceful setting and natural wonders of the large backyard, which is filled with Fig trees, Peach trees, Orange trees, and Satsumas. Yet it is still large enough to add a pool if you like! This yard is ideal for the gardener or nature lover and includes a raised planter bed. A large yard building with electrical service is ideal as a workshop, studio, or to store all your outdoor adventure gear. 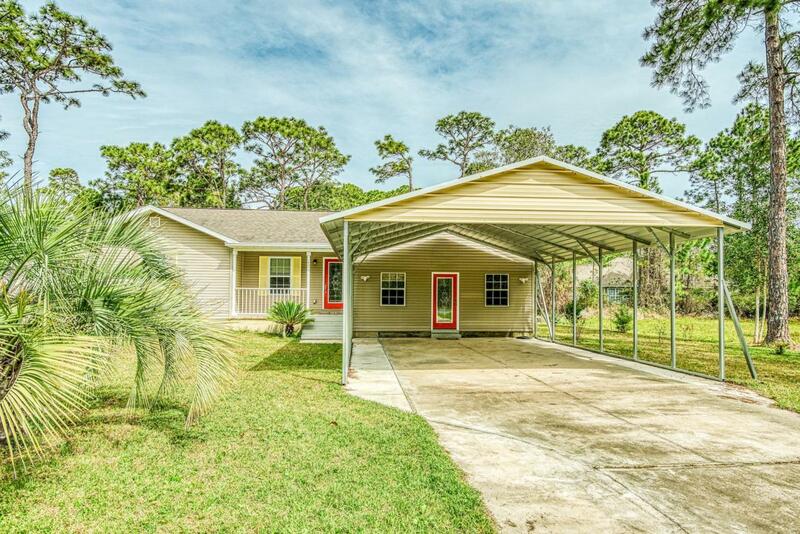 This home is perfectly located to take advantage of all the Emerald Coast has to offer. Just north of the Gulf and just south of the Bay, simply pick where you want to have a water adventure today. Fantastic location for anyone who loves fishing or a day on the water or beach. Plus there are no HOA fees for this community so no hassle. You can park a boat in the yard if desired. Conveniently located near Sacred Heart hospital, grocery stores, and Grand Boulevard. Just minutes away from all the upscale shopping, fine dining, and entertainment options of 30-A. The South Walton area is also known for its nature and bike trails, excellent fishing, paddle boarding and kayaking spots. 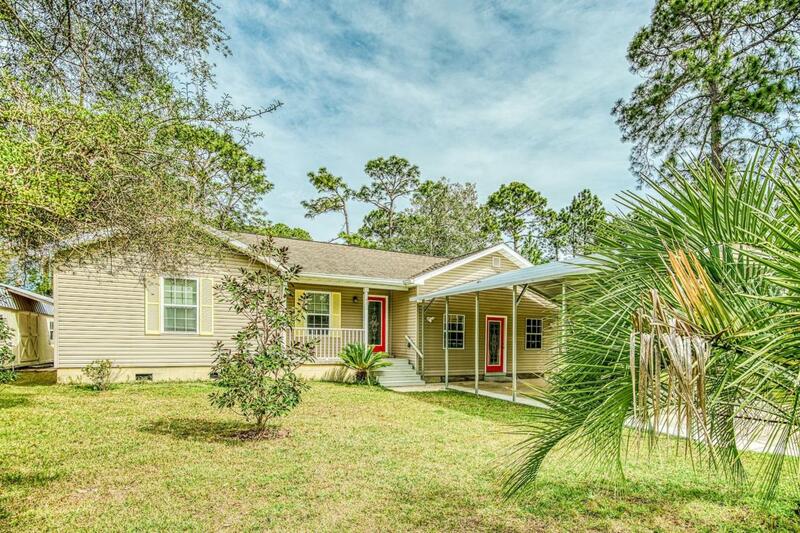 This home puts you right in the middle of all the Emerald Coast has to offer, at an excellent price and tons of value.